Quintiles IMS Holdings Inc (NYSE:Q) investors should be aware of a decrease in hedge fund interest of late. Q was in 34 hedge funds’ portfolios at the end of September. 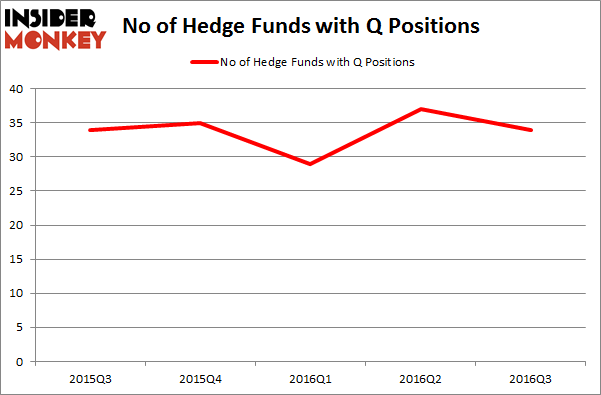 There were 37 hedge funds in our database with Q holdings at the end of the previous quarter. At the end of this article we will also compare Q to other stocks including Duke Realty Corp (NYSE:DRE), Huaneng Power International Inc (ADR) (NYSE:HNP), and Hanesbrands Inc. (NYSE:HBI) to get a better sense of its popularity. 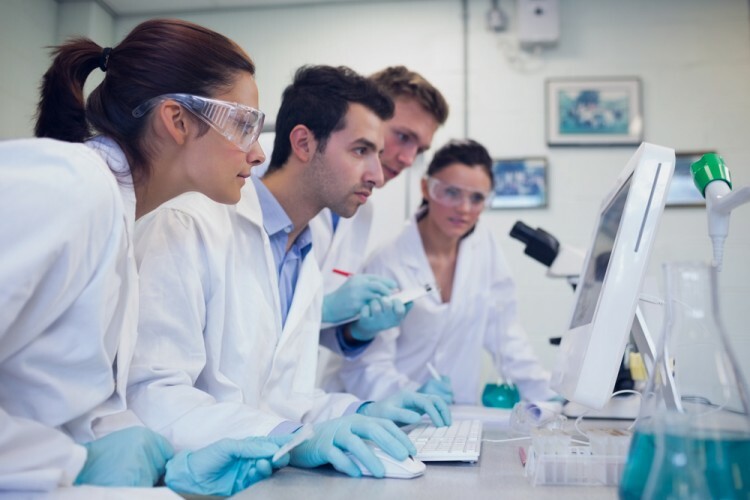 Follow Iqvia Holdings Inc.Follow Iqvia Holdings Inc.
With all of this in mind, we’re going to review the new action regarding Quintiles IMS Holdings Inc (NYSE:Q). How are hedge funds trading Quintiles IMS Holdings Inc (NYSE:Q)? Heading into the fourth quarter of 2016, a total of 34 of the hedge funds tracked by Insider Monkey held long positions in this stock, a decline of 8% from one quarter earlier. Below, you can check out the change in hedge fund sentiment towards Q over the last 5 quarters. So, let’s find out which hedge funds were among the top holders of the stock and which hedge funds were making big moves. According to publicly available hedge fund and institutional investor holdings data compiled by Insider Monkey, Larry Robbins’s Glenview Capital has the number one position in Quintiles IMS Holdings Inc (NYSE:Q), worth close to $274.1 million, comprising 2% of its total 13F portfolio. The second most bullish fund manager is Brahman Capital, led by Peter Adam Hochfelder, which holds a $257.6 million position; the fund has 9.1% of its 13F portfolio invested in the stock. Some other hedge funds and institutional investors that hold long positions contain Robert Pitts’s Steadfast Capital Management, Jacob Doft’s Highline Capital Management and Cliff Asness’s AQR Capital Management. We should note that none of these hedge funds are among our list of the 100 best performing hedge funds which is based on the performance of their 13F long positions in non-microcap stocks. Is Nordic American Tanker Ltd (NAT) A Good Stock to Buy? Is Liberty Sirius XM Group (LSXMK) A Good Stock To Buy? Hedge Funds Are Still Buying Novanta Inc (USA) (NOVT) Hedge Funds Don’t Think Very Highly of Annaly Capital Management, Inc... Is Northstar Realty Europe Corp (NRE) Going to Burn These Hedge Funds? Should You Avoid Nationstar Mortgage Holdings Inc (NSM)?